Meet our long distance practitioners below. All long distance shamanic sessions are one hour in length and priced by practitioner. Author of: “So We’re Still Here Now What? : Spiritual Evolution and Personal Empowerment in a New Era,” and “The Science of Magic Book of Mysteries Vol. 1,” is a formidable practitioner with over 40 years’ experience in the shamanic healing arts. The founder, director, and head instructor of Path Home Shamanic Arts School, she has also written the school’s texts. Creator of the Path Home Method of evolution through shamanic healing, Gwilda teaches and lectures throughout the world. Gwilda’s focus is to support the spiritual evolution and personal empowerment of her clients, through alignment with universal power increasingly available as we enter the new era. The following practitioners have been trained and certified through the Path Home Shamanic Arts School. They have been handpicked and personally trained by Gwilda Wiyaka to uphold the excellence of Path Home’s Long Distance Program. We all desire health, happiness and fulfillment, but unconscious patterning disconnects us from our gifts, often destroying the very thing we seek. With patience and gentleness, Cody Alexander helps her clients trace unwanted and damaging patterns to the source, helping them reconnect with their own essence and power, regain balance, and empower their lives. Cody is a Path Home certified shamanic practitioner and teacher with 11 years’ experience in shamanism. Beccy is a certified Shamanic Practitioner, who graduated from Path Home Shamanic Arts School in 2010. 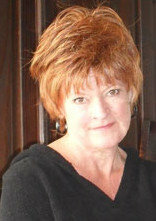 Terry is a Path Home Certified Shamanic Practitioner, graduated from Path home Shamanic Arts School in August 2006. She is also certified to teach Path Home basic workshops, graduated in August 2009. Terry is a caring person who helps people heal what they need to empower their lives by gently walking them through their process. She is experienced with both adults and children. Shamanism and soul retrieval have been around for more than 50,000 years. Both have been practiced by indigenous healers worldwide. These ancient peoples understood what modern culture has forgotten. There is more to healing and health than just the physical. There are four levels – physical, emotional, mental and spiritual – that must be addressed in order for us to enjoy balanced, healthy and abundant lives. Modern medical practice focuses on the physical, our culture is obsessed with the mental, and psychotherapy addresses the emotional. The fourth of these aspects, the spiritual, is mostly ignored, if not invalidated all together. Shamanism is not a religion. While religion supports the moral health of a society, shamanism manages health and balance at the quantum level of life and has been practiced by the cultures of all world religions. The term “soul loss” can be misleading, as we never lose our eternal soul. Yet, when people are exposed to trauma or extreme stress, they disconnect from part of their natural frequency or expression. War veterans and "post traumatic shock syndrome" are a clear example of this. Any time someone says, "He has not been the same since..." you are probably hearing about someone who has suffered soul loss. There are innumerable things that can cause soul loss: the death of a loved one; an accident; physical, emotional or sexual abuse; and abandonment, to name just a few. The symptoms are as varied as the cause. Some symptoms of soul loss are: depression; feeling spaced out; having recurring abusive patterns show up in our relationships; not remembering parts of our past; disconnected from our feelings; not feeling present in our bodies; ill health; poor boundaries; feeling depleted, alienated; inability to manifest, and so on. If you have any of these symptoms and have addressed them with traditional medical and emotional therapies, if you have changed your diet and taken supplements and herbs, yet still feel you are not really well, you may be suffering from soul loss. In order to create the reality we want, we need access to a full spectrum of frequencies. Through soul loss, our frequency is compromised and with it, our ability to manifest what we wish. Our lives become limited and our personal power diminished. A shaman is a person who deals with spiritual illness. Shaman are frequency masters. By performing a soul retrieval, a well-trained shaman can reconnect a person to a fuller bandwidth of their natural frequency expression. This is a gentle, noninvasive technique that can be profound and life changing. In a day of medical miracles, it’s a shame so many of us suffer needlessly for lack of the most ancient and basic healing modalities. Fortunately for us all, this form is being rediscovered and competent trained practitioners are becoming increasingly available. We come into the world surrounded by an energetic field, known as our aura, which manages the frequency push-pull of our lives by drawing in what we intend and repelling what is harmful. When our frequency is compromised through soul loss, the aura no longer works as designed. We develop patterns pulling in unwanted experience, unable to draw to us what we want. From the moment of birth, and probably before, we are vulnerable to the energies all around us which can impinge on our energy field. We are subjected to physical and emotional traumas and shocks, and may actually lose access to parts of our original frequency. This is what shamans called soul loss. When traumatized, we attempt to ascertain what behavior or expression caused the damage, judge against it, and disconnect from the corresponding frequency in an effort to avoid repeating the trauma. Unfortunately, this judgement is made as a small child with limited resources and understanding, or as a traumatized adult who often is not thinking clearly. As a result, we falsely judge against and disconnect from frequencies we need to live full abundant lives. Once this energetic disconnection occurs, it creates an electromagnetic charge reversal, whereby we no longer draw in what we need and instead, attract what we don't. Note that this reversal in the energy field only pertains to that area of our life in which the soul loss occurred. For instance, if the trauma was related to being sexually abused, then our energy field would tend to attract other sexually abusive situations. Soul loss is just one of many spiritual illnesses that shaman treat. Unfortunately, many of us think that once we become ill or are traumatized, we never really recover. Our culture has a whole belief system supporting this. However, spiritual healing methods like soul retrieval can actually reverse the damage, and in some cases, help people recover from chronic, life-threatening illness. A series of soul retrievals often results in people looking younger. This is because the body responds to the increased frequency that has been restored. Moving spirit through our physical bodies changes them. The “unhealable” is suddenly healed. The only limit is our belief that it cannot be done. In indigenous cultures, soul retrieval was done within three days of any traumatic event, because it was accepted that, if disregarded, soul loss and repeated injury would be the consequence. In our society, we have soul loss from birth; but we don't have a provision for spiritual healing, leaving the damage unaddressed. The disharmony of our society reflects the amount of soul loss we all have. When we go to the doctor or dentist, we pretty well know what to expect. We may not be looking forward to the prospect, but the procedure is familiar and accepted. In our culture, “shaman” is not a household word, often conjuring images of a wild person shaking bones over a terrified client while chopping heads off of chickens. My job, as a shamanic practitioner, is to enter non-ordinary reality by means of the journey trance. What is that? Simply put, a journey trance is a form of meditation, using repetitive sound (drumming or rattling) to enter an altered state of consciousness. As an urban shaman, I use a drumming CD and headset rather than a drumming ensemble. Once in the shamanic trance, the practitioner can access the unconscious of another in order to locate frequency disconnections. The information comes through in the form of an interactive dream, complete with metaphors. By interpreting the allegorical information, the practitioner can find where a person has disconnected from a natural frequency. The practitioner then assists their client in reconnecting to the missing frequency and processing the healing. I narrate the dream/journey to my client and record it for further reflection. When I come back from my trance, we discuss the journey and what it meant to my client. Often, I have related incidents to the client from their childhood that I had no way of knowing or understanding, but in discussion, we are both able to make sense of it and affect a healing in the form of reconnection and integration. This information and healing comes from deep in the subconscious, like a dream, and tends to slip back there if we do not take measures to anchor it into our reality. To help ground the information I ask the client to listen to the recording between sessions and journal their integration in order to support and accelerate their healing. After a soul retrieval and integration, the client can expect to see changes in their life. Simply put, the client becomes unstuck and can move forward in life with more power and substance. This is a beautiful form of healing and empowerment, preserved for us by indigenous peoples all over the world. I am grateful to them for their vigilance and sacrifice to hold, and now share, that which would otherwise have been desecrated and lost.